time Open daily Mon - Fri from 8am-2:30pm during private school terms for visits. Please call or send an e-mail to arrange a visit. Trial days are also offered. Intake during the course of the year may be arranged. Along a stretch of pale brick wall, runs the currently,dusty road leading to our bit of country heaven called Chrysalis Academy. With Steyn City as our immediate neighbours and the hustle and bustle of Cedar Road left in the distance, one is impressed by the peaceful, pastoral surroundings. Although Broadacres is but a few minutes away and HeronBridge is a stone's throw from us, the tranquillity makes for a unique learning environment. We cater for children who have learning support needs or need a different environment in which to flourish. We accept children who are on the autistic spectrum but are able to communicate and follow the syllabus. We are not averse to challenges but require parents to be involved in their child's learning process and support a team approach where we work holistically together. We are unique in our neuro-scientific approach to learning. As a result, we offer Scientific Learning's neuroscience programmes to children who may benefit from this. It is not limited to our school's regular learners only as these programmes are computer based. As our classes are small, we offer individualised, bespoke teaching. Remedial therapy is available and remedial techniques are used to teach children who need this. We accommodate home schoolers and learners with auditory processing needs as well as a range of therapies tailored to the individual child's challenges. Our aim is to support learners to find their own solutions and grow in their own way and at their own pace. Although we have found that our methods often negate the need for medication, we do have the skills and assistance of therapists, educational psychologists, neurologists and other medical and educational specialists available. Our teachers contribute various skills and expertise. Where we face unusual or unique challenges, we are not averse to asking for advice from experts in other fields or even in other countries. We believe that millennial children need a different approach to schooling than the traditional lecturing method. With this in mind, we use play-based, blended and co-operative learning and strongly encourage participation in Art, Drama, Music and other subjects. 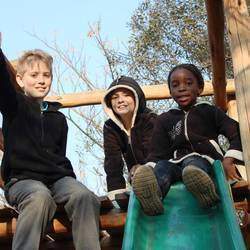 We use zoo therapy to help children with a range of emotional support needs. We are fortunate to have access to the Indigo Horse Riding facility nearby. This has been found to be most therapeutic to both children and adults alike. 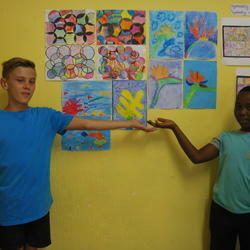 We currently offer grades R to 9, although our school is an independent school, registered up to matric. We shall continue to grow as numbers permit. * we follow the prescribed CAPS curriculum as stipulated by the Education Department but enrich the curriculum as much as possible. We liaise with ISASA and are an independent or private school. We adapt our curriculum where deemed necessary. * individual education programmes or IEPs are designed for children who need a special learning programme to catch up or close gaps in their existing learning or are advanced in certain areas. * therapy is built into our daily programme so that we can give as little homework as possible. Our weeks are jam-packed with activities, outings, cooking, baking, gardening and tending to the animals. We build models of volcanoes and lungs and demonstrate our computer skills and physical prowess. We do experiments and create works of art. We sing, dance and act. Our computers are used to find information, but we love to read real books with our reading buddies. We swim and ride our bikes. We explore and build with Lego or make bridges or miniature towns in Technology. We have a Market Day each year where all are welcome and can join in fun activities. Each of us design our own business plan and decide on a product and game to promote our stalls. We go on camps when we are big enough and enjoy Friendship Day, Character Day, our gala and sports events and our Outreach projects. Movies under the Stars is one of our most favourite events and everyone joins in this activity. We love Braai Day and Heritage Day and celebrate our beliefs and cultures together. We have a Christian ethos and try to treat everyone kindly and with respect. * counselling is free during school hours or when convenient. * intensive AIT, ILT and other well researched programmes available on request or by recommendation. We currently offer remediation for children with learning support needs such as ADD/ADHD, Dyslexia, CAPD, Autism and other barriers to learning. The current teacher-child ratio is 1:6 or 1:8 depending on the needs of the learners. We make use of assessments in order to meet the needs of our children and devise Individual Education Plans for children who require this. We address strenghths and weaknesses daily. We work closely with neurologists, OT's and other professionals and prefer to do so as a team. Facilitation can be arranged, where specifically needed or requested. We prefer to use neuroscience programmes which are highly effective in treating learning difficulties within a few months. We use a learning-through-play approach with the younger children as working outdoors and learning whilst doing, is a successful manner in which to learn. We often find our older children joining in and learning skills they had forgotten they had or consolidating learning they had previously missed out on. Therapy in the outdoors is very effective and work well for our children. We like trying different methods to address rowdiness or conflict, such as meditation, Pilates, yoga or other interesting techniques. We welcome visitors to our school throughout the term. Please call or email us to make an appointment. Please call us for a breakdown of the school fees which range between R3500 and R6000 per month. Chrysalis Academy's individualised approach to their pupils ensures that marked progress in their pupils' learning development. The superior education and school ethos creates confident, capable learners ready to tackle the world.